The UK branch of a transnational network of testing facilities for new products and services for the water sector has been opened by experts from Scottish Water and the James Hutton Institute. The Water Test Network comprises 14 sites across North West Europe – two of them in Britain and the rest in Germany, Belgium, the Netherlands and France. 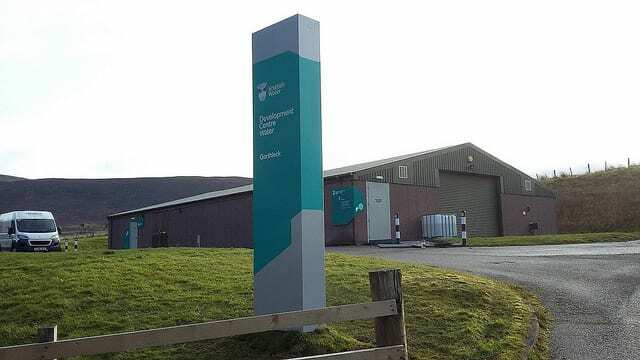 The two UK facilities, located at Bo’ness and Gorthleck near Inverness, are the first in Scotland dedicated to supporting research and innovation in water and waste water treatment. They will allow small and medium businesses (SMEs) to develop and demonstrate their ideas under live conditions but without risking the health and safety of the public, accelerating their progress towards market readiness. The James Hutton Institute will provide expertise in the area of laboratory testing, verification, accreditation and regulation, as well as working with SMEs to improve their understanding of the market they aim to enter and prepare the ground for new technologies. Richard Allan of the James Hutton Institute said: “The Water Test Network represents a unique partnership of organisations which is fully focused on supporting small to medium businesses to accelerate their innovations to market. Paul Kerr of Scottish Water Horizons, the water utility’s commercial subsidiary operating the development centres, said: “Bringing bold new solutions to market that will benefit water users wherever they are will significantly enhance how we protect and enhance water quality and ensure our environment is safeguarded. The first trial to take place via the new network is due to start in this month. Belgian company Acqua Novus will test their technology for dealing with waste water contaminated by organic pollutants such as leachates from landfill sites and other industrial operations.